HTC Desire, Legend and HD Mini – three handsets which wowed the crowds at this week's Mobile World Congress in Barcelona – have been given UK release dates and pricing, pointing to a spring launch for the trio. Both the HTC Desire and Legendcome packing Android 2.1 and are already destined to be contenders for the best phones of the year. The HTC HD Mini is a Windows Mobile 6.5.3 phone which, as its name suggests, is a smaller version of the HD2 and comes brandishing a 5MP camera and Sense UI overlay. EXpansys has spilled details of UK release date and UK pricing of all three phones, with the HTC Desire the most expensive handset at £449.99. The HTC Legend is in second place, costing £399.99, followed closely by the HTC HD Mini at £349.99. All HTC handsets have a 12 April UK release date. If you don't fancy shelling out all that cash, then T-Mobile, Orange, Vodafone and O2 have announced they will be stocking one or more of the phones. 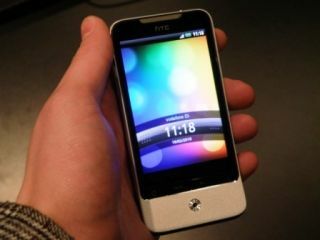 T-Mobile actually pips eXpansys' 12 April release date on the HTC Desire by two weeks, offering the handset from 26 March. Go to www.expansys.com for more details.